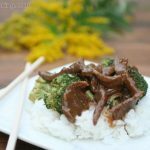 This beef stir fry is one of my husbands favorites. He’s not really into the Asian cuisine and there seems to be only certain Asian dishes that he will eat. 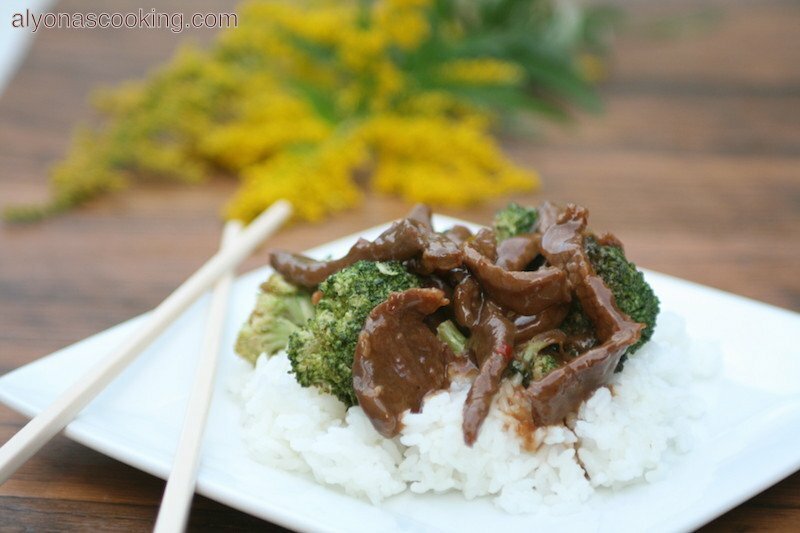 This one is definitely a tasty one and its ‘s easy to prep. There is not a big ingredient list and the few ingredients that the recipe calls for can probably be found in most grocery stores. If you ask me, I think it’s so similar to something P.F Chang’s would serve. 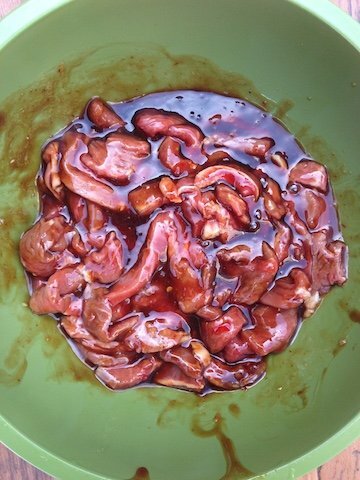 Thinly slice the beef and toss in a medium bowl along with 1/2 cup of stir fry sauce and 1/3 cup of mae ploy sweet chili sauce. You can add 2 tbsp of oyster sauce if you want to add more flavor, but thats totally optional and the dish will still come out super tasty. Heat a large wok or large non-stick frying pan over High heat. 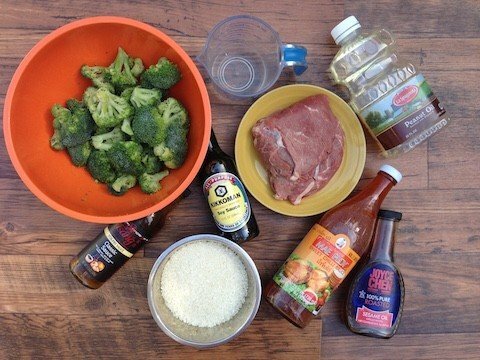 When pan is smoking hot add 2 tbsp of peanut oil and 1 tsp of sesame oil; swirl to coat and add the broccoli florets. 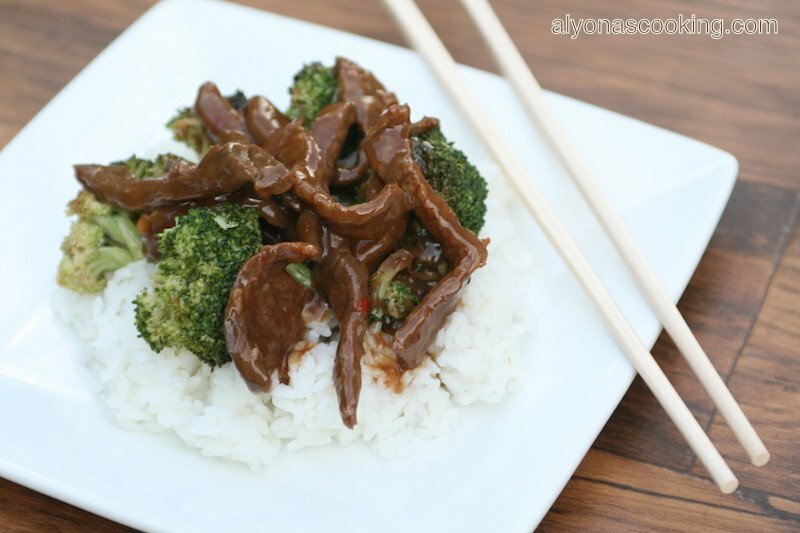 Sear broccoli and add 1/4 cup of water and 1 tbsp of soy sauce to the broccoli; cover with a lid, reduce the heat and steam the broccoli for 3 minutes. Remove broccoli and set aside into a bowl. Adjust the heat to high again and when frying pan is smoking hot add 2 tbsp of peanut oil. 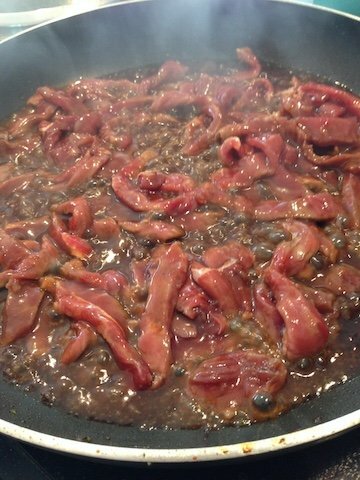 Add the beef slices along with the sauce and fry until meat turns brown in color (about 3 minutes). Set aside. 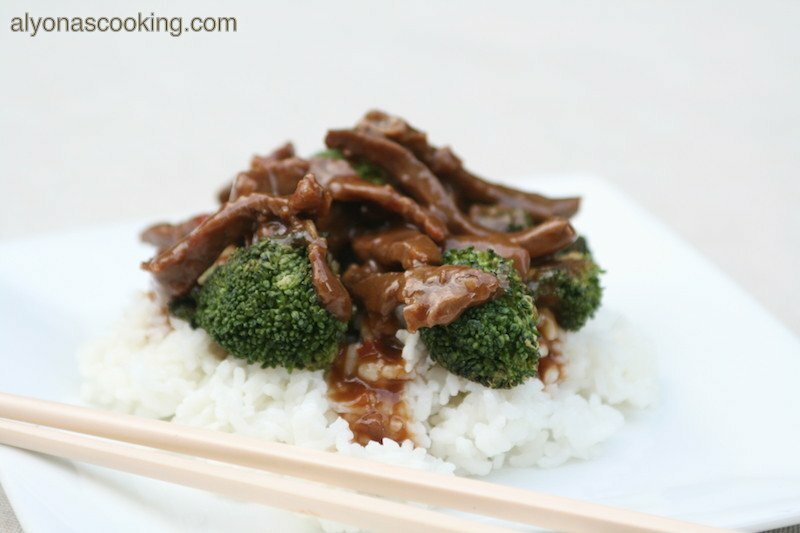 To assemble, place rice onto a serving plate, then top with the broccoli and then with the beef mixture. Serve immediately. Cook long-grain white rice according to package instructions. Heat a large wok or large non-stick frying pan over High heat. 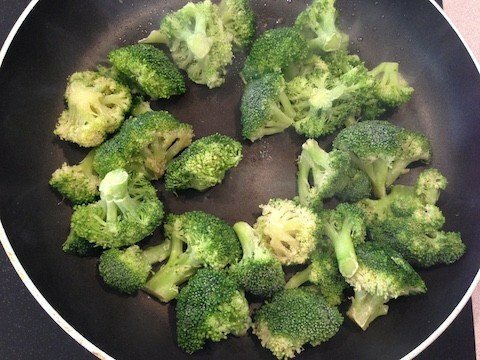 When pan is smoking hot add 2 tbsp of peanut oil and 1 tsp of sesame oil; swirl to coat and add the broccoli florets. Sear broccoli and add 1/4 cup of water and 1 tbsp of soy sauce to the broccoli; cover with a lid, reduce the heat and steam the broccoli for 3 minutes. 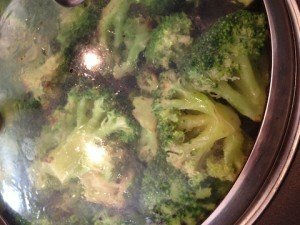 Remove broccoli and set aside into a bowl.